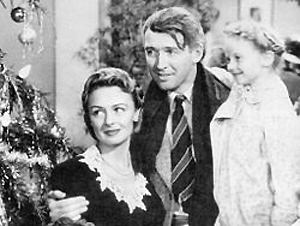 The story that inspired the movie "It's a Wonderful Life" has been restored to its original form. As Seen on NBC's Today Show with Kathie Lee. THE GREATEST GIFT is a short holiday story with an illustrious history, but almost unknown in literary form. Begun in 1937, TGG was completed in 1943 but never recognized or published. Instead, the author sent 200 copies out as a small holiday booklet to friends, one of which came back as a movie offer. That offer turned into a movie classic – It’s a Wonderful Life. Here, the lost novella has been recreated in its incredible original form, including the size, illustrations, and cover. A dust jacket has been added for merchandising. Also included is an afterward by the author’s daughter detailing the history of how this short story became a movie. 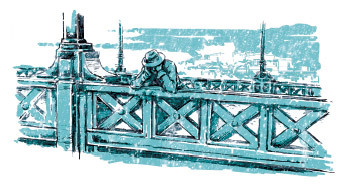 The book's re-creation has the indelible mark of a Graphic Image effort with newly recreated illustrations printed in duotones inspired by the original. One of those originals which were signed by the author has been used to make what scholars consider a perfect reproduction - down to the most minute detail. This is a very limited edition that SendAFrame is proud to be able to offer you. 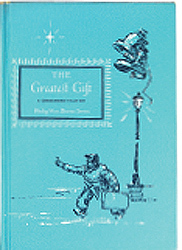 Hardcover, 48 pages, with illustrated dust jacket 4 7/8" x 6 3/4"
On the night before Christmas, a mysterious stranger saves a man from despair by giving him a precious opportunity to understand the difference that his unassuming life makes to the world and those around him. A twentieth-century parable, The Greatest Gift celebrates the difference that each life, no matter how simply lived, can make. This poetic and evergreen reminder of eternal human value formed the basis for Frank Capra’s classic film, It’s a Wonderful Life. The Greatest Gift has been recreated in its original size, with the same format and illustrations that would eventually inspire the creation of one of the most enduring movies of all time. Experience the story as it was originally presented; a holiday card sent by Philip Van Doren Stern to 200 of his friends, one of which would eventually slip into the hands of a Hollywood producer. And then read in the Afterward the account by his daughter, Marguerite Stern Robinson, how this wonderful novella became one of the most popular short stories of all time. …(My father) waited until the spring of 1943 before he rewrote the story and showed it to his agent, who said that she liked it but that it would be difficult to sell a fantasy to the magazines. My father wrote, "After she had tried everything from The Saturday Evening Post to farm journals it was evident that no magazine would touch it. By this time I had become fond of the story that nobody wanted. I revised it again and had 200 twenty four-page pamphlets printed at my own expense. I sent these out as Christmas cards for Christmas, 1943." And there it was...a story about a man who thought he was a failure and who was given the opportunity to come back and see the world as it would have been had he not been born. Well, my goodness, this thing hit me like a ton of bricks." Approx. Overall Dimensions:4 7/8"x6 3/4"x3/8"